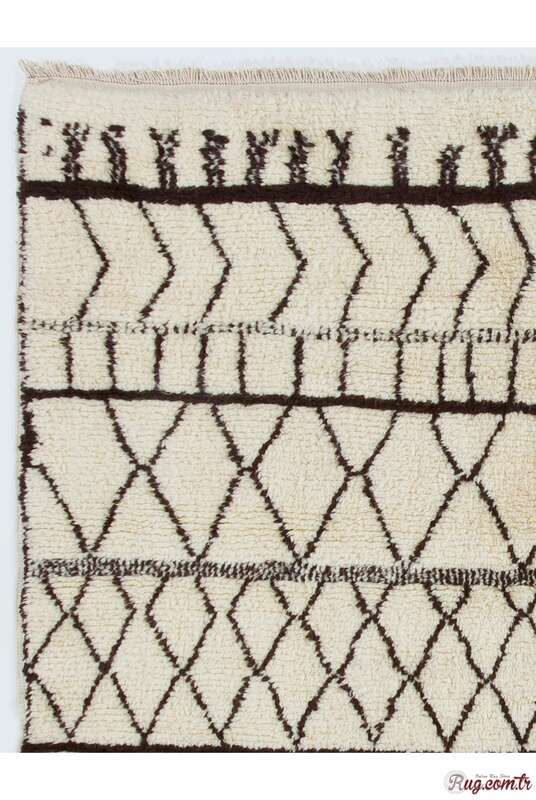 When you are looking for a versatile décor solution, you won’t find anything better than this P..
Rug Shown: 5' x 7'4" (152x225 cm), or Made to measure in custom size, colors and pattern.Design ..
Rug Shown: 6'4" x 10'2" (195 x 310 cm), or Made to measure in custom size, colors and pattern.De..
Rug Shown: 3'10" x 6'2" (117x188 cm), or Made to measure in custom size, colors and pattern. Handmade in Turkey by us using 100% Fine Natural Handspun Sheep Wool. Please feel free to enquire should you need a different size, color or design rug. 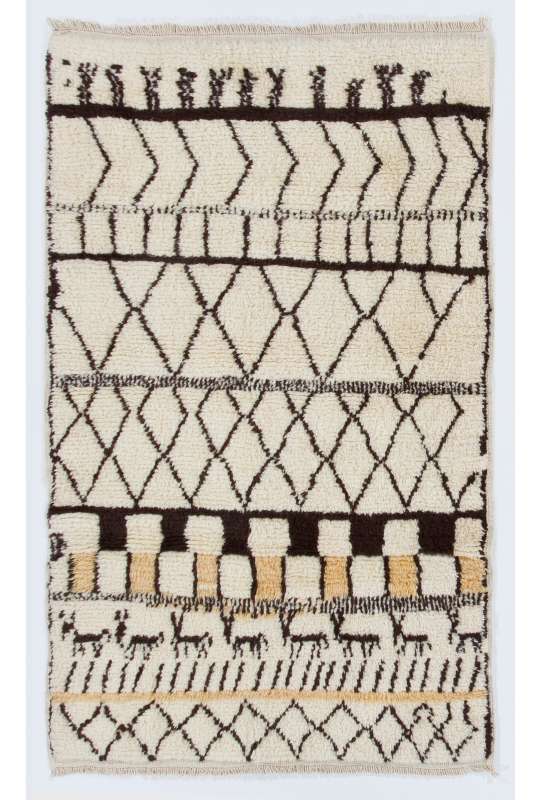 These rugs are available in over 200 different designs. We can produce these carpets in any size and color combination you like. 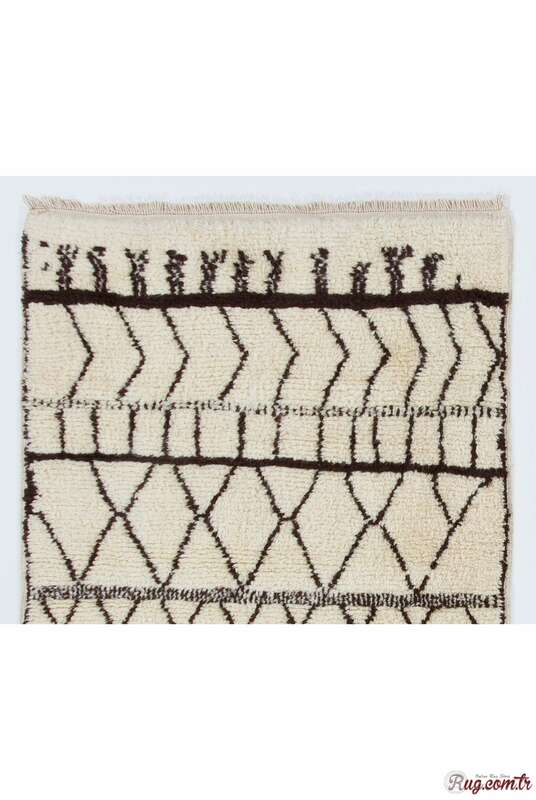 These highly demanded tribal rugs are handwoven by women who have been weaving carpets for generations and are highly qualified in this field. 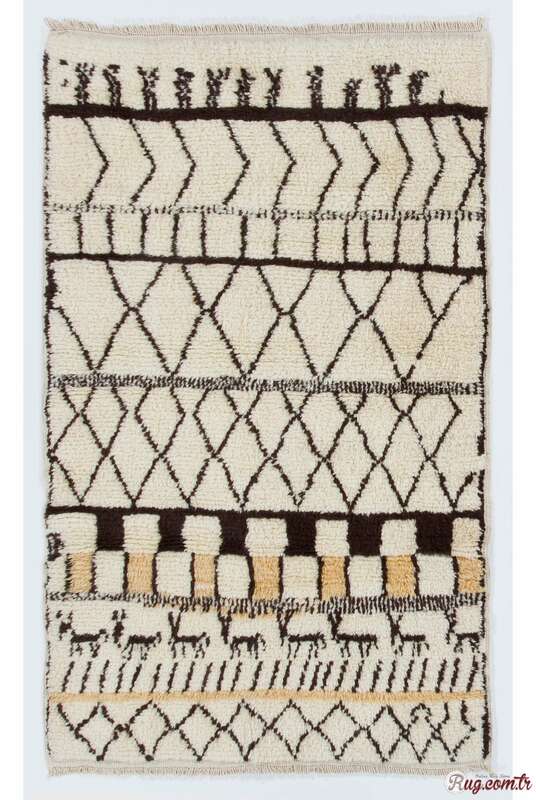 The designs are inspired by vintage Moroccan High or Middle Atlas Rugs, Berberi and Beni Ourain carpets, Azlial and Turkish Tulu (Shag Pile) Rugs used by the nomads in Central Anatolia in mid-20th Century. 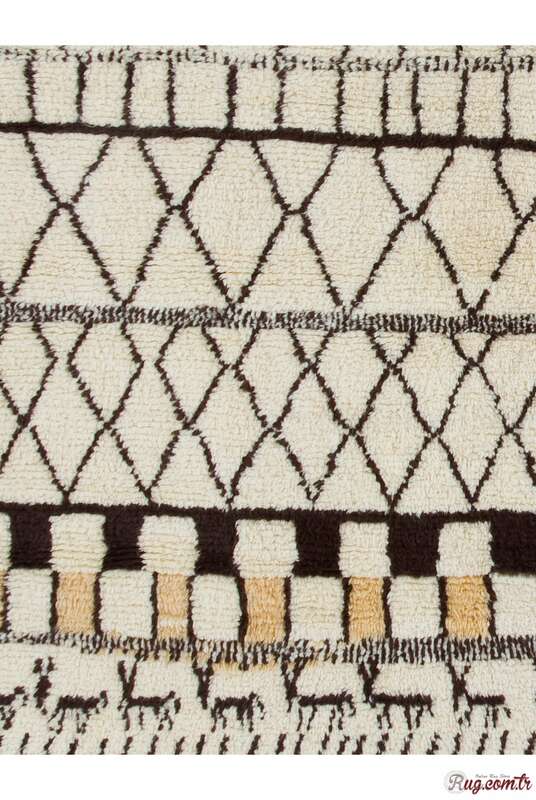 The Moroccan carpets are made from undyed natural handspun sheep wool. Their long and fluffy pile makes them ideal for families with children. The rugs are suitable for bedrooms, living rooms and guest rooms. The tribal patterns are very decorative designs which are available in various sizes. 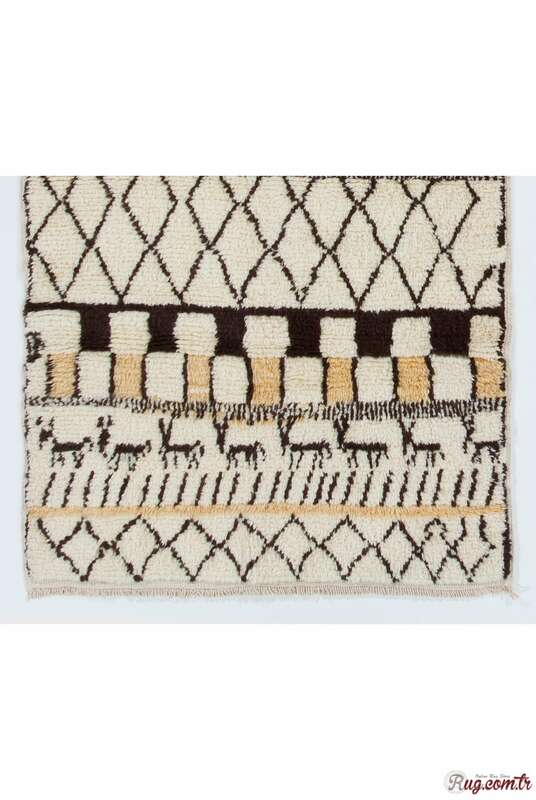 The carpets are woven by 4-5 women in our village; who have been weaving handmade carpets for many generations and skill of their ancestors have been passed down to them. If you have any questions regarding the order procedures of these carpets, contact us. We ship Worldwide by UPS expedited. Delivery takes 6-10 business days to anywhere in the world. Shipping: Please allow about 5-10 business days for delivery. For delivery to Alaska or Hawaii, please allow 10-15 days for delivery. Please add 1 to 4 weeks to shipping time for orders that require custom productions. Please note that rugs cannot be delivered to P.O. Boxes. Returns Policy: You may return new or unused products within fourteen (14) days of delivery for a full refund of the cost of the goods (minus shipping both ways), or an exchange if preferred. Customs & Duties: Please be aware that, depending on your country's regulations, you may be charged customs or duties. Please check with your local authorities. Cannot Find The Right Size? Please Contact Us with the desired size and We will get back to you ASAP.